McDSP is running another Flash sale where you can make a huge saving off the regular price of the FutzBox. From today until the 26th of March you can get this distortion and noise generator plug-in for ONLY $49 (list $179) for the Native version and ONLY $79 (list $279) for the HD version. Typical post productions require distorted, or ‘futzed’ versions of dialog and other tracks. Simulations of radios, cell phones, and televisions are now available in a single software product. FutzBox also includes filtering and EQ, distortion, a noise generator, and gating to complete the sonic destruction required. Original and distorted audio can be mixed in real-time to accommodate scene changes or other automation requirements. 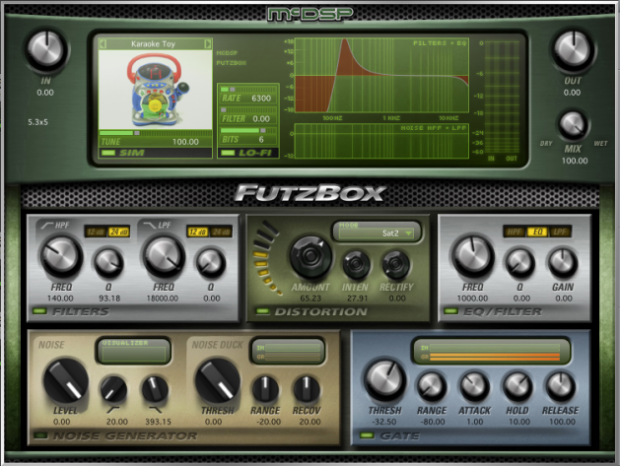 The McDSP FutzBox is available on flash sale at The DontCrack Store. This entry was posted in DontCrack, Plug-ins, Promotions and tagged Distortion, FutzBox, McDSP, noise generator. Bookmark the permalink.